Since I have been told that my blog is too highbrow, I should maybe record the fact that I have had lunch in a motorbike store in Hackney Wick following a trip to visit the Custom Built Bicycle Show in the Velodrome. I wanted to like the Velodrome, which is beautiful from the outside, but unexpectedly disappointing inside, cheap finishing, exceptionally poor disabled access and smelling of drains. 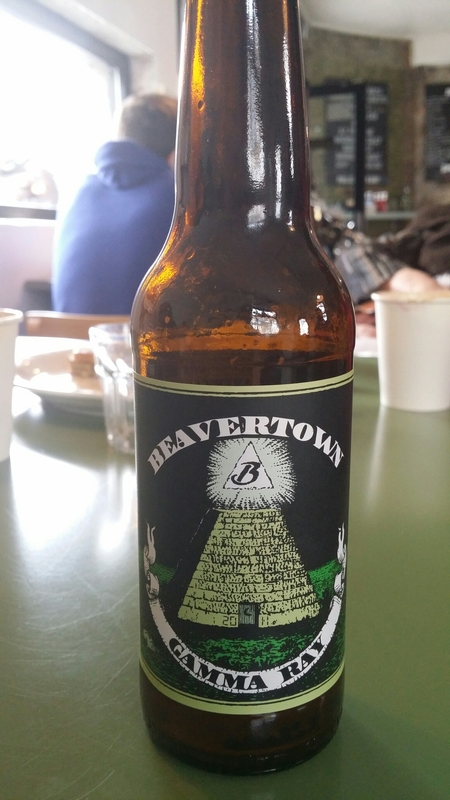 So, we retreated in search of food in Hackney Wick where we discovered pancakes, burritos and Beavertown American pale ale (brewed in Hackney) for lunch.